La production a démarré mardi soir (22 novembre) ! On Monday Nov 14 New Zealand was hit by an earthquake of magnitude 7.8. The epicenter was located near Kaikoura on the east coast of the South Island. 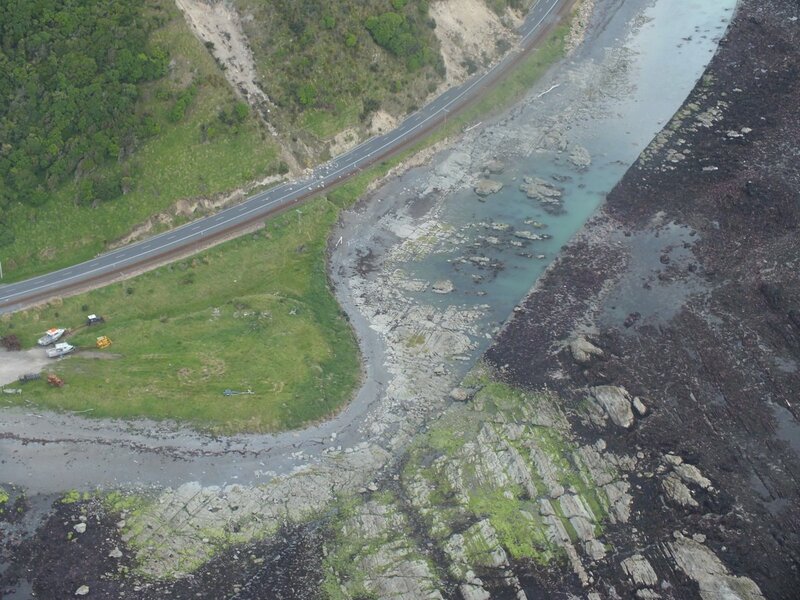 Yesterday, the NZ Herald published aerial photographs showing tectonic uplift of the seabed of between 2 and 2.5 metres north of Kaikoura . These photos were taken by @TonkinTaylor who posted them on Twitter.